With some creative landscaping, small backyards become beautiful spaces. All it takes is a little imagination to put your personal touch on your own backyard oasis. Go for a thematic, more serene look, or indulge in plants that provide a riot of colors to enjoy. 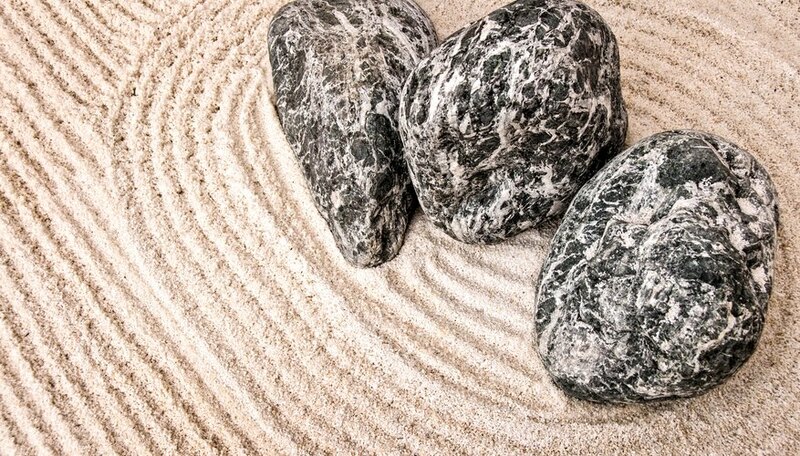 Zen gardens work in any size backyard. Created by Buddhist monks as meditation centers, Zen gardens are a dry landscape form of the Japanese garden that uses little, if any, vegetation. Sand represents water, while cleverly placed rocks represent islands in the sandy sea. The sand is raked to create ripples, representing water movement. Larger rocks frame the garden, forming mountains. Bonsai trees, tiny plants that are clipped and trained to grow into specific shapes, are sometimes used as accent vegetation. The blue atlas cedar (Cedrus atlantica - Glauca Group), an evergreen that does well in U.S. Department of Agriculture zones 6 through 9, and Japanese maple, (Acer palmatum 'Osakazuki'), USDA zones 5 through 9, are two options. Mexican-style gardens are all about color. Create a seating area with boldly colored lilac, yellow and green furniture to complement succulents such as the agave plant. 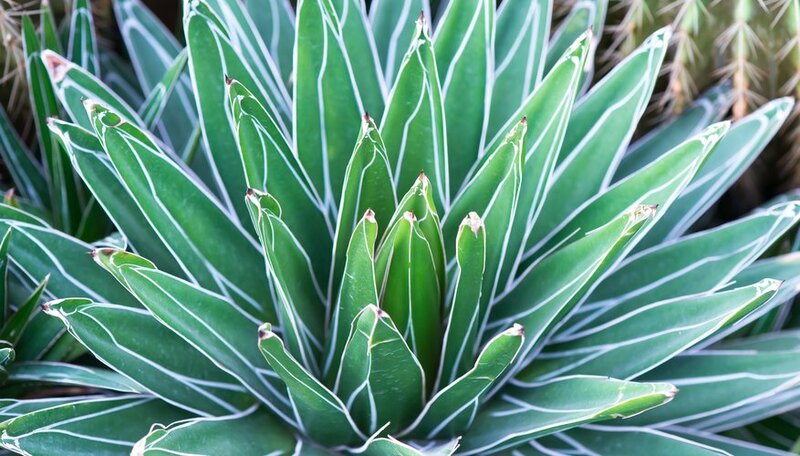 Parry's agave (Agave parryi), winter hardy in USDA zones 7 through 10, is drought-tolerant. This agave also does well in containers, so you can grow it in colder climates and bring it indoors over the winter. Plant brilliant red, pink, yellow and purple bougainvilleas (Bougainvillea), USDA zones 9 through 11. These plants can also be grown in containers and brought indoors in colder climates. Mexican bush sage (Salvia leucantha), USDA zones 8 through 10, is covered with purple and white flowers from late summer until frost. 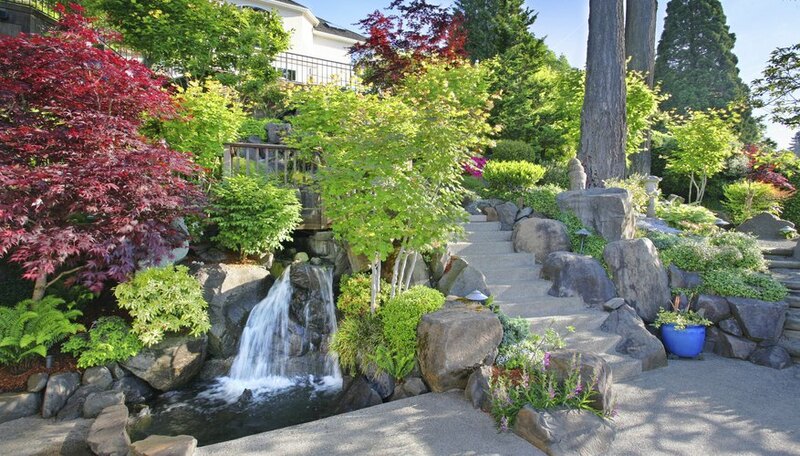 Small waterfalls add a comforting focal point to a small garden. Waterfalls made of natural stone look more authentic. Plants that thrive in moist soil do best when planted near your waterfall. One example, grassy-leaved sweet flag (Acorus gramineus), USDA zones 6 through 9, is a perennial that tolerates heavy shade, erosion and wet soil. It produces yellow-green flowers every spring. Impatiens (Impatiens walleriana), USDA zones 10 through 11, prefer part to full shade and can be used as border plants. A colorful mix of flowers blooms between early summer until frost. Some small backyards are little more than patios, especially in some town homes. Rather than try and divide that space into garden and patio, use planters and accent plants to keep it one "big" space. If the patio is already paved, dress it up with plants in colorful containers, or add a planter box or two around the edges. Add a seating area, including a table with umbrella for shade. 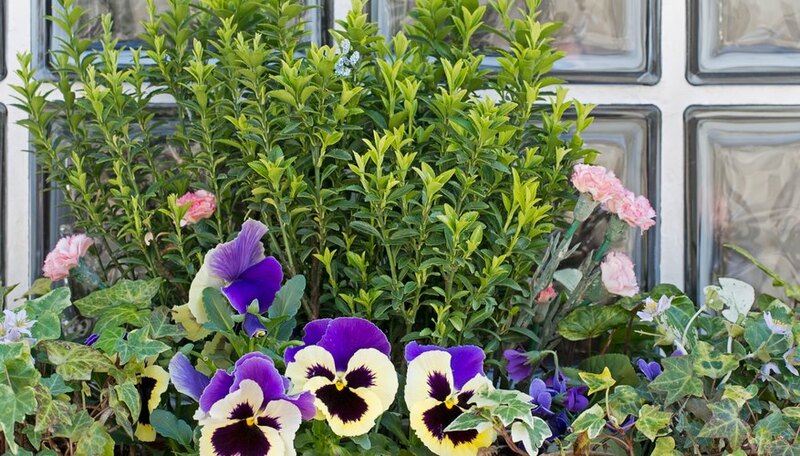 Plants that do well in containers include pansies (Viola × wittrockiana), a perennial that does well in USDA zones 6 through 10 and blooms in a variety of colors. Another option is the African marigold (Tagetes erecta), an annual with yellow, orange and whitish blossoms that bloom from early summer through fall. 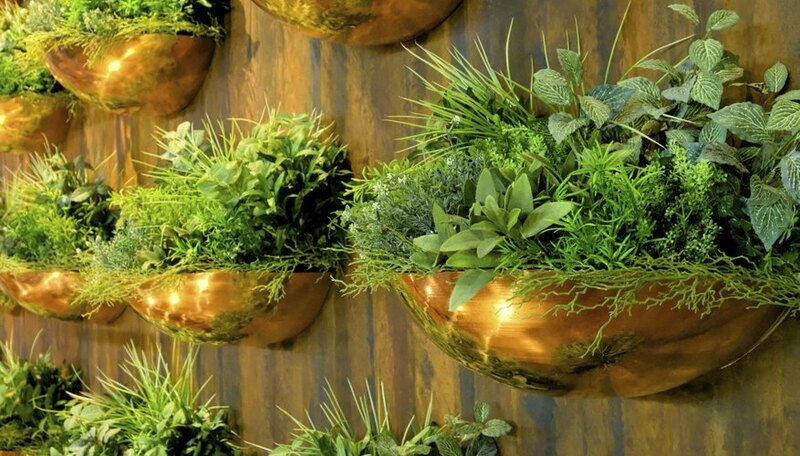 Vertical gardens work well in tight spaces. Commercially made vertical planters are available, or get creative and make your own out of an old set of shelves, recycled rain gutters or even shipping pallets. Depending on the design and your space, vertical gardens can be free-standing or mounted on fences or walls. They work exceedingly well for fragrant herb gardens, with the added benefit of having fresh culinary ingredients right outside your door. Oregano (Origanum vulgare '_Aureum'), a perennial grown in USDA zones 4 through 8, and Italian parsley (_Petroselinum crispum var. neapolitanum), an annual, are fragrant options. Plant butterfly- and hummingbird-friendly flowers in your small backyard and you'll attract these little gems on the wing to your personal space. Add a shallow birdbath, which works for both species and also adds a focal point. Supplement the real flowers with hummingbird feeders. One butterfly favorite is the American boneset, (Eupatorium perfoliatum) USDA zones 3 through 8. it has masses of white flowers that bloom from mid-summer through early fall. 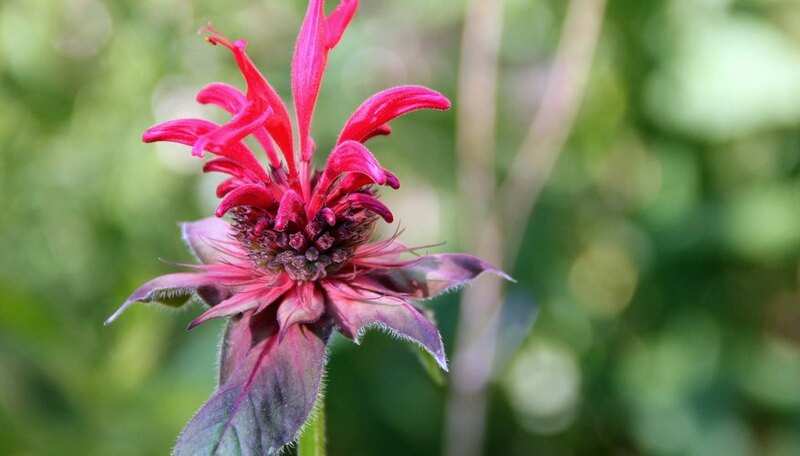 Bee balm (Monarda didyma), USDA zones 4 through 9, attracts both butterflies and hummingbirds. It has clusters of red tubular flowers that bloom from mid- to late summer.